I hereby declare that the contents of this consignment are fully and accurately described above by the proper shipping name, and are classified, packaged, marked and labeled/placarded, and are in all respects in proper condition for transport according to applicable international and national governmental regulations. How does a shipper achieve this? The hazmat employer is responsible to provide training. This ensures that all the relevant employees (hazmat employees) who directly affect the safety of a shipment are knowledgeable in all the specific job-related functions that may directly apply to them such as identification, classification, packaging, marking, labeling/placarding, and shipping papers. The DOT requires validation of this by way of testing the competency of the employee. This can be in any verbal or written form. As this is the employer's responsibility they must also establish what is a satisfactory passing score. Certification is done by way of recording the details of the training. Each hazmat employer must create and retain a record of current training of each hazmat employee, inclusive of the preceding three years, in accordance with the regulations for as long as that employee is employed by that employer as a hazmat employee and for 90 days thereafter. Hazmat training must address five areas: general awareness/familiarization, function-specific, safety, security, and driver training. The requirements for the first four ensure the hazmat employee can competently determine that a shipment is in compliance with the Hazardous Materials Regulations in Part 172, Subpart H of CFR49 and any other international requirement whether shipping or receiving. The driver training requirement is located in 49 CFR 177.816 and applies to anyone who transports any quantity of a DOT regulated hazardous material. This training can be used as an alternative to satisfy the function specific requirements as they apply. The Beginner's Guide to Export Forms. What are the hazmat employer's options to provide adequate training? There are a limited amount of options for the hazmat employer to address all of these requirements. The first option is to have someone in-house appointed as the DG/hazmat regulatory specialist. The upside is everything is under the same corporate structure. The downside is the cost of hiring someone full-time, which most companies can't justify because there isn't enough time to warrant the cost. Assigning the role to an existing employee, usually an environmental, health and safety staffer, is the alternative. They usually have enough regulatory issues to deal with and have no hazmat training experience. They are usually the designated department responsible for compliance and as such rely on outside help for this. The second option is having employees enroll in online courses. These are fairly inexpensive, and although online classes may be cheapest way to approach compliance, they provide a very limited understanding in achieving true compliance with any subject matter as there is no interaction with student and trainer. Another traditional method is sending each hazmat employee to a public course. These can be very expensive depending on location and the amount of staff needed to be trained. A typical three-day public class is approximately $750 per attendee plus the expense of travel if the class location is not local. Most open-enrollment public seminars provide a lot of information, plus three days of regulatory details usually overwhelms the average shipper. If you have a variety of products and classes, or perhaps you are in the forwarding business and need a broad spectrum approach, this is ideal. Legally, the hazmat employer is only responsible for what they ship. So realistically these generic classes cannot possibly provide you with all pertinent training specific to each shipper's needs. Yes, they provide a lot of relevant information, but they don't specifically address the particulars of each individual's situation. For instance, there are nine hazardous classes that range from explosives, flammable liquids and solids, compressed gases to radio-active materials, oxidizers, infectious substances, and corrosives. There are also modal specific requirements for air, rail, truck and vessel as well as the packaging standards for bulk and non-bulk. Note that it's not a DOT requirement to sit through details on topics you'll never have to use. I have sat through enough of these classes where another attendee has way too much to say about their particular issue. A more effective approach is site-specific training classes. Here, the instructor addresses the necessary regulatory information and specific details that only apply directly to the shipper's needs at the shipper's location. All dangerous goods/hazmat staff is trained privately as a team for their particular job functions. Another added convenience to this format is the shipper can decide on the location and date based on their preference. Rates vary for each class format, but a good rule of thumb is approximately $1,500 to $2,000 per day. Depending on the assortment of products, packaging formats, and modes of transport, most client needs can be addressed thoroughly in one or two days. One of the benefits I've seen with site-specific classes is that real communication is achieved by the trainer by physically touring the facility, which helps them gain valuable insight that can be related to the class. Compared to public classes, onsite classes are an informal open forum that provides constructive discussion between all the participants concerning their site specific compliance issues. They are also conducive to inter-department discussion and promote possible alternative solutions to existing hazmat shipping problems. Attendees can ask specific questions without disrupting the class as they are all involved in the same process. One of our popular tools is preparing a typical mock consignment in class using actual packagings, labels and forms. This is not as effective in public classes because the variety of participants. Consistency is also achieved as all the staff is trained at one time from the same instructor. Making sure clients' needs are effectively achieved, a good trainer will request a Client's Needs Assessment prior to the training. This provides them with all the relevant details needed to obtain 100% compliance for their clients. 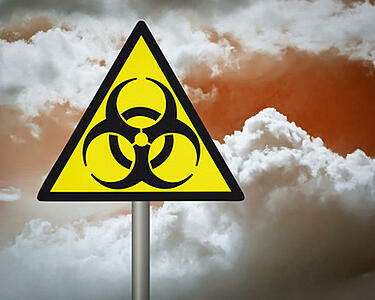 Hazmat compliance should not be taken lightly. Enforcement is strict business and fines can be costly. An investment in training is a healthy investment for providing an increase in safety awareness for reducing accidents and peace of mind for the employer knowing they have completely fulfilled their legal regulatory requirement.